Are you planning the big jump to from outbound to inbound marketing? If so, you have probably had a quick thought over who you will need to hire to start your new Inbound team. We have collated a list of the essentials, and thrown them all together in an animation so you can plan your next recruitment session in two minutes and nine seconds! Inbound is all about connecting with your leads and guiding them down the funnel. And we all know that their journey begins once you’ve attracted them with glistening content and top-quality engagement. For this you will need one hell of a socialite. Now this doesn’t mean someone who is fabulous at hosting dinner parties, or is seen at every hot event in the city. What we really mean is someone who is all over social media. Are they chronic tweeters, have 500+ connections on LinkedIn and love a bit of business on Facebook? HIRE THEM. Having someone who is aware of the opportunities on social as well as knowing what audiences are craving at any given moment is essential. To truly win at Inbound you need to have your fingers in a LOT of pies. You have to be able to juggle between social media, blogging, emails, phone calls, client liaison, meetings, planning, researching, schmoozing, making videos, hosting webinars, posting content….The list is never ending! They can’t work like outbound marketers, in a ship-it-out-and-I-will-never-have-to-see-it-again kind of way. Even after you’ve posted a brilliant blog your work isn’t over. You have to share it on social, promote it via email or newsletter, add it to a work flow, link a CTA, record click-throughs, and follow up any buzz about it across all digital channels. An inbounder’s work is never truly done! For someone to be able to handle all of this they have to be extremely fast learners and have to have the ability to remain calm amidst chaos. They need to be sharp to pick up on any errors and be the queen/king of quality checking. And finally, they need to be patient with their team, they will be one of those miraculous people who can even squeeze in more time to teach others. Your juggler will be a toughy to find, but once you have, you should never let him go! Now that you have found your Socialite and Juggler who are handling the day-to-day chaos with ease, you need to find yourself someone who will continue to evolve your company and push it into the future. Digital marketing is not something that you can master once and then use the same techniques for all eternity. It is vital that you don’t get stagnant with you marketing methods and instead evolve your style and procedures to fit the ever-changing demands of your buyer personas. To make sure you don’t get stuck in a marketing rut you need to recruit yourself an Innovator. This chap will always have their finger on the pulse in terms of global trends as well as keeping up-to-date with the desires of your potential customers. They will be extremely customer-centric and have the wants and needs of your leads at the forefront of their mind all day, every day. They may suggest bringing in new products or services and will often implement alterations in strategy to keep the business at it’s best. The Innovator will be the main driver for change in the company, pushing the business to be the best it can be in this fiercely competitive and groundbreaking industry. There you have it! 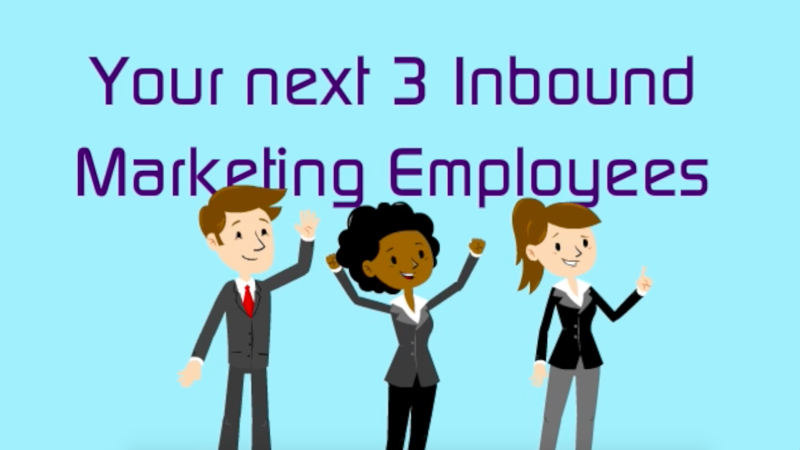 Three top-notch team members to push your Inbound Marketing to a whole new level of awesomeness! Now that you have the recruitment covered, perhaps it’s time to see what kind of an impact your new Inbound-centric company can have with a quick flick through our free eBook.